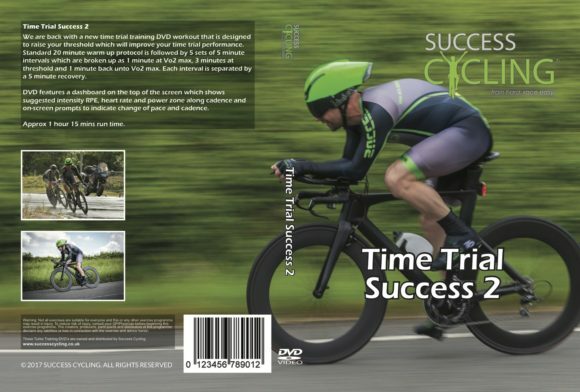 We are back with a new time trial training DVD workout that is designed to raise your (FTP) Threshold which is so important to improve your time trial performance. Standard 20 minute warm up protocol is followed by 5 sets of 5 minute intervals which are broken up as 1 minute at Vo2 max, 3 minutes at Threshold and 1 minute back up to Vo2 max. Each interval is separated by a 5 minute recovery. 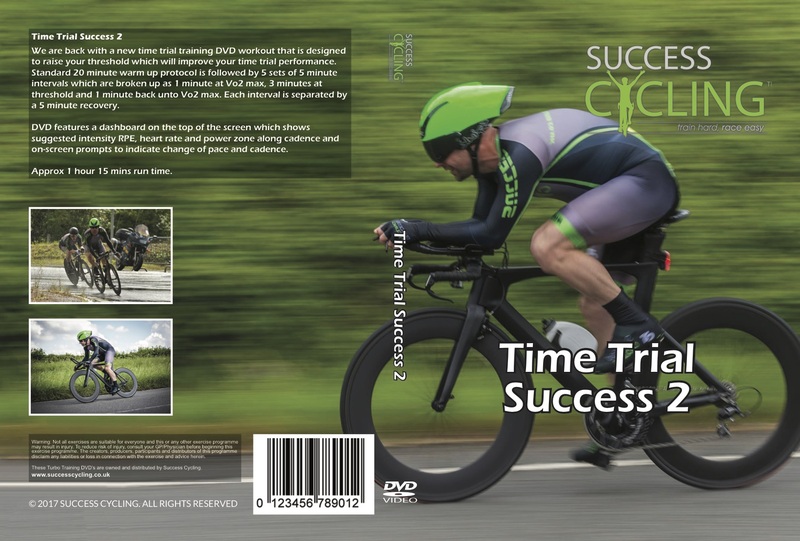 DVD features a dashboard on the top of the screen which shows suggested intensity RPE, heart rate and power zone along cadence and on-screen prompts to indicate change of pace and cadence.